Colette What is Definitive Cities trying to do? As cities go, Paris is up there with the most expensive and overpriced. 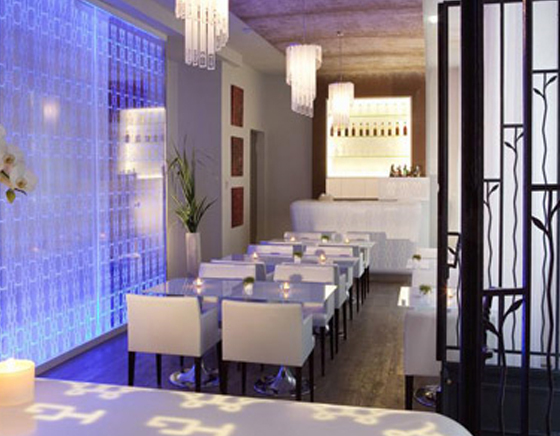 There are the hotspots that go hand in hand with the fashion scene but there are also many little hotels, bars and restaurants that have better food, better service and much more affordable prices – and Hotel Gabriel is one of these. While most hotels in Paris bump up the prices during fashion week, Hotel Gabriel, a boutique hotel in the Marais was a reasonable 100 euros a night and still had great access into the centre, was surrounded by lovely cafes and bars and, the all important free WiFi so I could pop back to write my show reports. The concierge stays on 24/7 to open the sliding doors after hours and was great at recommending some great little places to eat while in Paris. When I checked in I expected the rooms to be really small and, as with some Paris hotels that are on the smaller side, to have really old fashioned rooms. Instead, the decor at Hotel Gabriel was light, airy and totally modern. It is a shame that more people haven’t heard of it as the foyer bar and restaurant that I had breakfast in would be a great place to enjoy a meal with friends or have a few cocktails. It was always empty at night which is not to say it wouldn’t be a great place to meet friends – if you want a chilled night. The rooms are quirky, with night lights in the shape of people holding hands so you needn’t turn the full lights on at night if you need to find your way. That said, it was quite dark in there and I was trying to work which was more difficult. 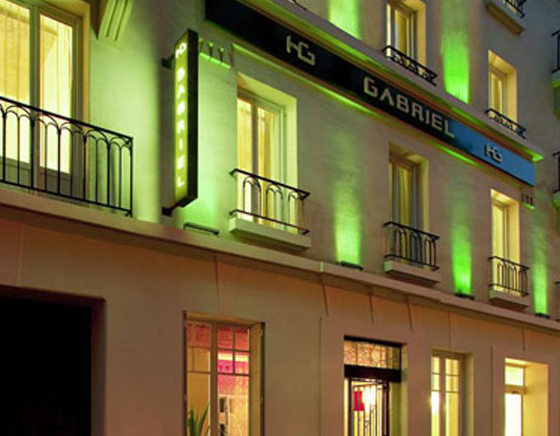 So, if you are looking for a cosy, romantic and reasonably priced hotel while in Paris, look no further. If you want somewhere businesslike and bustly, go elsewhere.